Deciso is proud to announce the immediate availability of version 17.7 named “Free Fox”. With a strong focus on security this major release introduces an innovative exploit mitigation technique called SafeStack. This innovation was made possible by the strong cooperation with the HardenedBSD project and introduces application hardening that protects programs against attacks based on stack buffer overflows. Since the previous major release, the plugin infrastructure has grown significantly with the introduction of several – community supported – plugins such as a reliable, high performance TCP/HTTP load balancer, Quagga with broad routing protocol support and Let’s Encrypt for free and automated certificates. Users will notice the streamlining of various parts of the system and the significant GUI performance speedup for installation with a large number of interfaces. For developers, the RESTful API and the pluggable infrastructure has been further improved and extended. 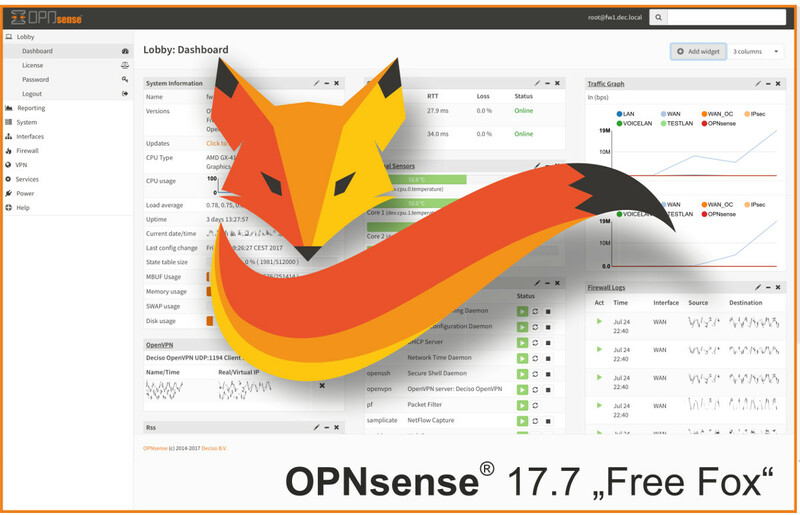 OPNsense® 17.7 is the first open source firewall to feature SafeStack at its core and the only actively developed security platform offered under a 2-clause BSD license. The team believes that open source allows for sharing of ideas and helps to creating better products.